Wow, it’s been another long time period between posts. I’ve been busy with work and all of that, yada, yada. The usual! I’m finally posting a bit of recent art. Most of these are art cards from the Halloween Art-A-Thon over at illustratedatcs.com, my fave trading place. 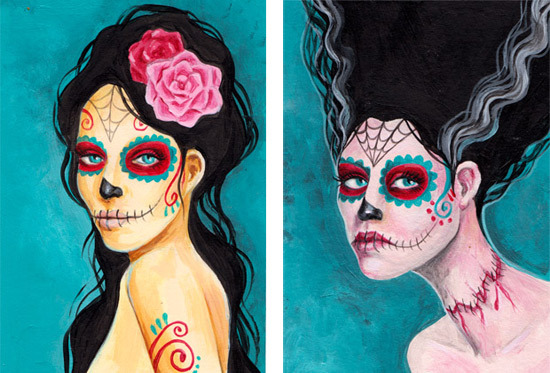 Below are a couple of acrylic Calavera girls and above is a mix of barely scary Halloween art in marker and ink. And here are the lonely 4 inkings I did for Inktober. I wanted to participate for the entire month but it just didn’t work out. I ended up making all 4 of these into digital stamps (of course). Oh my gosh, they're all so cool, love them! Happy PPF too! Wow you are such a fabulous artist…love them all!! Happy Halloween!! They are super cool Sal! 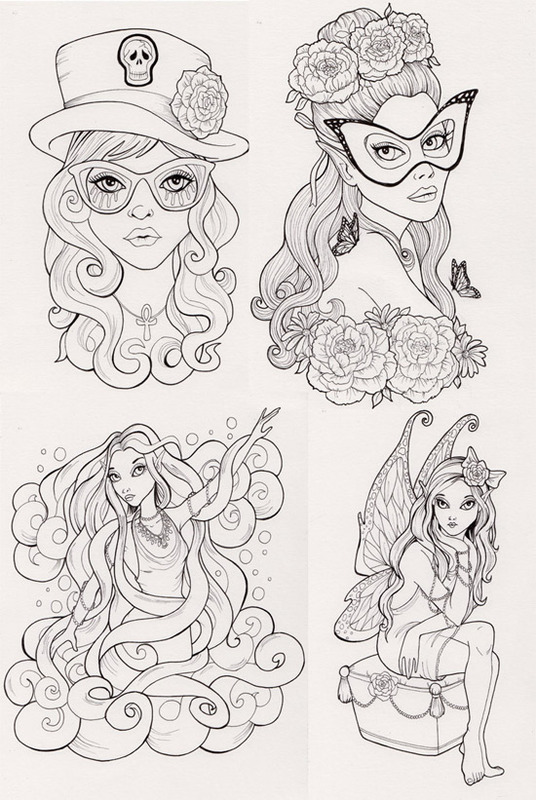 You are a fabulous illustrator-these are wonderful! FABULOUS Halloween art-LOVE those girls at the top!! Wonderfully bright and funky artwork. I love your Calavera girls. Happy Halloween and PPF! I adore this vibrant art! These are all gorgeous! Fun and colorful! Wonderful Halloween artwork – SO creative!! Happy PPF!